Call on Congress to pass a comprehensive, sustainable transportation funding package that includes biking and walking. Whether you ride the T, bus or bike, walk or drive, the expiration of the federal funding bill, Moving Ahead for Progress in the 21st Century Act (MAP-21), has a direct impact on southwestern Pennsylvania’s economy and your quality of life. On May 31, 2015, the nation’s transportation funding mechanism – the Highway Trust Fund – will be unable to fund any additional projects. We need a funded multi-modal transportation bill that includes biking and walking. Transportation is the backbone of our local and national economy. Without a long-term federal transportation funding bill, Pittsburgh and communities across the country will face tremendous economic and employment uncertainty. A long-term transportation bill is needed to reinforce and expand transportation choices, and to continue to grow our economy – locally and nationally. Thursday, April 9 is Stand up for Transportation Day! We hope you’ll join us on Thursday with partnering local organizations Pittsburgh Community Reinvestment Group and Pittsburghers for Public Transit! Sponsored by the American Public Transportation Association (APTA) with support from partners from transportation, business, labor and community oriented interests, Stand Up for Transportation Day will unite the voices of 200+ participating organizations in over 140 communities nationwide to focus on the federal transportation funding crisis’s urgency and provide a local context. The League of American Bicyclists currently has an action alert asking Senate to pass Senate Bill S. 705, The Transportation Alternatives Program Improvement Act. Ask your Senator to Co-Sponsor S. 705, The Transportation Alternatives Program Improvement Act. The Transportation Alternatives Program provides hundreds of millions of dollars each year to local communities to invest in bicycle and pedestrian infrastructure. It’s the only federal program specifically focused on local transportation priorities. S. 705, the Transportation Alternatives Program Improvement Act, written by Sens. Thad Cochran (R-MS) and Ben Cardin (D-MD), makes changes to the program to make it more effective and easier for local governments to use. As many of you know, the City of Pittsburgh is considering significant amendments to the urban agriculture zoning code that will make it easier to grow food in our city, as well as increase opportunities to keep bees, chickens, goats and more, depending on property size. Where can I obtain an application for these activities? The City of Pittsburgh Zoning Departments offices, located on the 3rd Floor, 200 Ross St., Pittsburgh, PA 15222, or online here. Where is the City of Pittsburgh’s Zoning Department located and what are their hours? The office is open from 8am-3pm Monday through Friday. Representatives can be reached at 412.255.2246. See above for the physical address. I am interested in keeping bees, chickens or goats but my property is less than 2,000 sq. feet. What can I do? You can file for a variance. This will take time and money to achieve, and whatever situation is approved through the zoning variance process will stay with the property, not transfer with you should you move. You can discuss the variance process with the Zoning office. I would like to keep more than the allotted amount of bees, chickens or goats. What can I do? You can file for a variance. See above. I am allergic to bees and concerned about my neighbors having beehives. Is this safe? Yes. Less than 1 percent of the population is truly allergic (going into anaphylactic shock requiring the carrying of an Epi-pen). Any other type of reaction is considered normal. Honeybees are docile and will only become aggressive if they feel threatened. Beekeepers use smoke and proper management skills to minimize stings. My neighbor has bees, chickens or goats and I don’t think they are being kept properly. What can I do? Depending on the severity of the situation, a 311 report will get to humane officers in a day or two. Call directly 412.847.7066, and leave a message with the address of the situation. I found a roaming chicken, duck or goat. Who do I call to pick up this animal? Animal Care and Control will attempt to capture a wandering animal. Call 412.255.2036. If you have the animal captured either the Animal Rescue League or the Humane Society can accept the farm animal. I want to keep both chickens and bees on a 2,000 sf property, may I? Yes. Bees and goats are allowed as well at 2,000sf. But not chickens and goats together until the property is 10,000 sq. ft.
I’m still confused or have questions. Who can I talk to? I love many things… poetry, gardens, beauty, community building and diversity, just to name a few. Being a transplant to Pittsburgh, I also love bridges. Gardens build bridges, which is an interesting metaphor since we live surrounded by bridges. I am an avid gardener, and have been for years, both in my backyard and more recently at the local community garden, but this is not what attracted me to be a part of ReClaim McKeesport program with GTECH. The philosophy of reclaiming vacant land to improve the social, economic and environmental health of the community is phenomenal and much needed in the Mon Valley area. The importance of beauty and community are central to me and the idea of transforming vacant land to something that builds community and provides beauty pushed my buttons. So here I am – a ReClaim McKeesport Ambassador – and very proud to be. Recently in my neighborhood many vacant lots have emerged as a result of an initiative by the City [of Mckeesport] to tear down blighted and abandoned houses. For many years I held a career as a child and adolescent therapist and frequently interacted with youth who were not hopeful. I often wondered when children walked by these structures on their way to school what they felt seeing broken windows and falling down homes. Now I wonder what they feel when they see the absence of that. What would it be like for them to see beauty and feel hope for this world in which we live? “Darkness cannot drive out darkness, only light can do that. Hate cannot drive out hate, only love can do that.” – Dr. Martin Luther King Jr.
Bring on the light. Build some connections and relationships. Share beauty and the poetry of flowers and build a bridge to community. Shari Holland is a current ReClaim McKeesport Ambassador. She owns a beautiful old home in McKeesport and is passionate about making her neighborhood even more beautiful and inviting to others. She will be installing her vacant land project this summer. A community garden is a wonderful idea for a vacant lot. The benefits outside of fresh produce, became very real to Lisa Freeman after founding the Manchester Growing Together Community Garden in 2011. Just a few blocks from her home in Pittsburgh’s Northside, the garden has had a lasting impact not only on her, but the surrounding community as well. [dt_sc_blockquote type=”type4″ align=”left” cite=”Lisa Freeman”]”Elements that we assume as bad became part of the community — part of the garden. It has a redemptive value. They were pulled into this community”[/dt_sc_blockquote]Lisa had a hard time ignoring the illegal activities happening on the corner near her garden. She would walk past young men selling drugs while hers arms were full of compost and tools. Instead of overlooking their behavior, she began to ask them for their help. Soon those that were engaged in illicit activities became garden volunteers. Her observations aren’t new. According to a study performed in Philadelphia in 2000, the Pennsylvania Horticultural Society maintained and greened 14,000 of Philly’s 54,000. At the end of a ten-year period, neighborhoods sporting reclaimed vacant lots showed a statistically significant decrease in shootings and other violent activity. Gardens near school-aged children are a great learning tool. Not only do they teach children about healthy eating, ecological stewardship and plant maintenance, but also they bolster math and history skills. 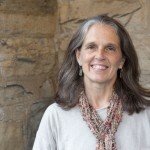 In the summer of 2014, Lisa and her husband, Wallace Sapp, who runs the Math Doctors program at Manchester Pittsburgh Public School PreK – 8 as a volunteer, created a summer program called Math + Mud to address social and educational gaps facing the school. Eighty-three percent of this Manchester school’ s population is below the poverty the poverty line and 27% of the third graders were below “basic” math skills assessment. This summer supplemental program gave 3rd graders the opportunity to learn math and “play in the dirt, while building important social skills and healthy eating habits. The garden has become more than just a food producing area, it also serves as a community gathering space year-round. Last year Lisa, her husband and fellow neighbors hosted a Light Up Night community party. As you can see in the video above, Lisa raised funds for her neighborhoods annual Light Up Night amongst other needs for her garden. Community gardens are so much more than a simple space to grow food.